Wake Forest Dining Facilities have been recognized for both extremely high quality food and a great environment to eat in. 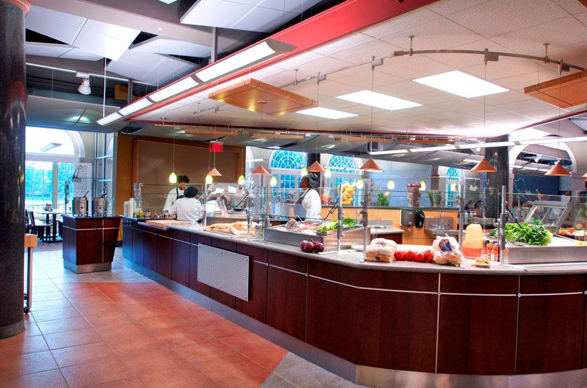 Students will eat at the North Campus Dining Facility ranked by USA TODAY as one of the 36 Best College Dining Halls in North America. All food in the award-winning dining halls is covered in the tuition. For those who desire a fast-food break, there is also a Subway, Chic-Fil-A, Moe's Burito, Grill, and a Salad Bar on campus.